Meet the faces of our organization! Our new Staff Profile blog series will introduce you to the people behind Operation USA. Check back every few weeks for new updates. This week, get to know our Director of Communications, Mary. 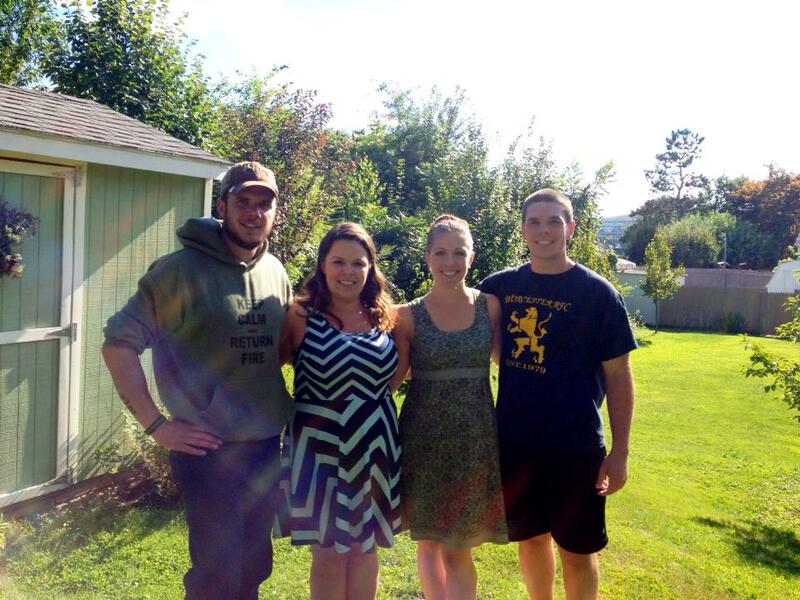 Mary (second from left) with her brothers and sister, summer 2013. PRIMARY JOB FUNCTIONS: Managing OpUSA’s social media accounts, developing communication strategies, e-mail marketing, website management, event planning and public/media relations. BEFORE OPUSA I WAS: Working in the marketing department at a beauty company that operated a network of “how to” sites for women. WHAT I LIKE MOST ABOUT WORKING AT OPUSA: Working with such passionate people to make a real, lasting difference in communities affected by disaster and poverty. CAUSES I CARE ABOUT: Creating opportunities for women, food security, and generating access to educational resources for kids around the world. MY BEST OPUSA MEMORY: My first week as a full time staffer, seeing how quickly people mobilized and came together to help in Oklahoma following devastating tornadoes. IF I COULD SIT DOWN FOR DINNER WITH ANYONE IT WOULD BE: Hrmm.. it’s hard to choose! But I’d probably say Sheryl Sandberg. BECAUSE: She’s a savvy and successful businesswoman, and is an inspirational leader for women not only in business but also in the tech industry, which is predominantly male. Before becoming COO of Facebook, she helped launch the philanthropic arm of Google, so I bet she’d have a lot of practical advice for the nonprofit sector. ON WEEKENDS YOU CAN FIND ME: Hanging out with friends, reading a good book, or outside riding my bike or playing tennis.